Kkday has created the leading e-commerce platform that connects travellers to the experiences of their dreams, ensuring each trip is authentic and local. With over 10000 experiences in 500+ cities around the globe, you are guaranteed to find a tour or activity in your destination. Browse the Kkday range via the 'Shop Now' button to earn Cashback on all of your overseas experience purchases. 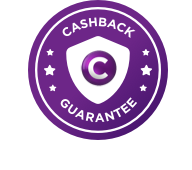 The use of coupon codes not listed on this site may void eligibility for Cashback.